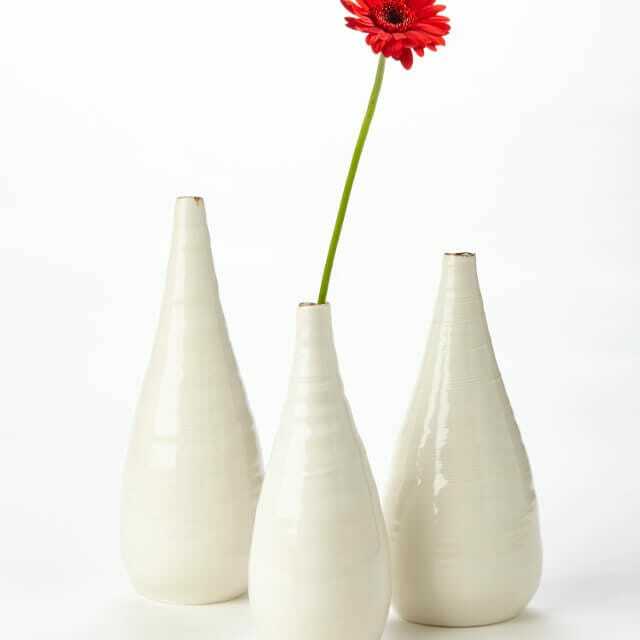 Show stopper Turitella vases with a graceful textured surface, leading to a narrow neck and oxide and bronze lustre rim detail. 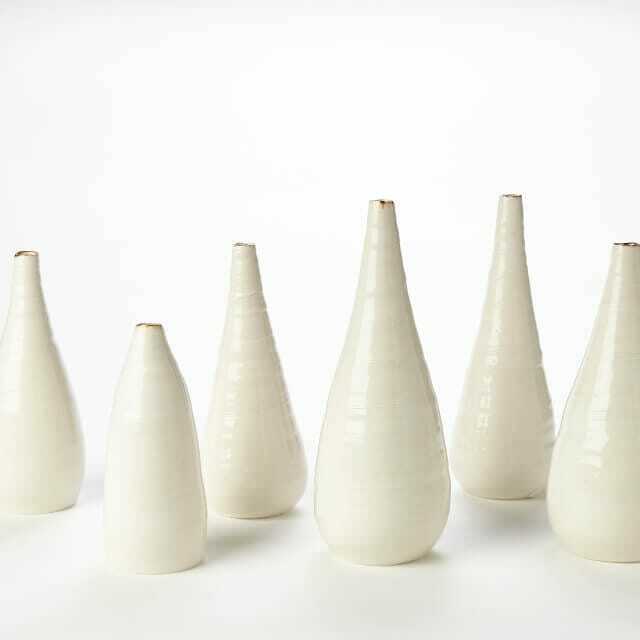 The latest Turitella vase series is an exploration of a new shape and, in their finished form, reminiscent of tower shells collected on a familiar beach as a child. The pieces are both functional and hold aesthetic meaning, retaining the spontaneity and delicacy intrinsic to making on the potters’ wheel. A Japanese comb tool is used to create and enhance textures during throwing. The high gloss glaze references clay in its wet state, while the bronze and oxide rim detail brings an impulsive fluidity to the finish. 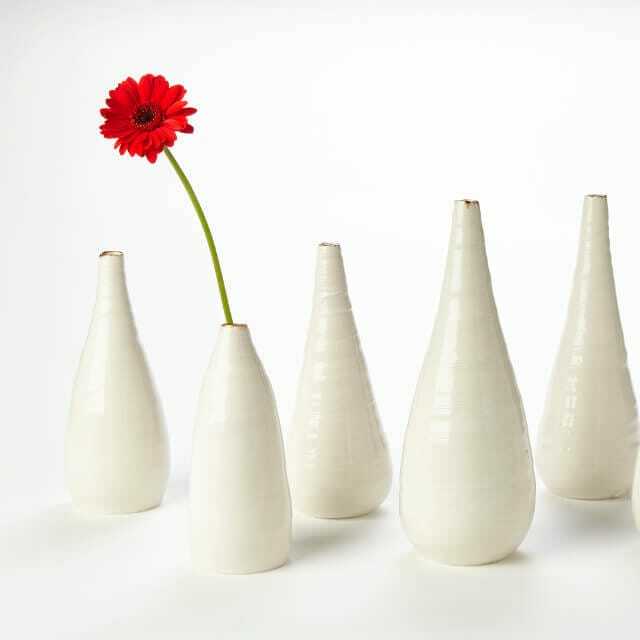 Each piece strives for individuality, through both making and firing.